Nickelodeon actress Brec Bassinger, from Bella and the Bulldogs is seriously ready for Halloween! 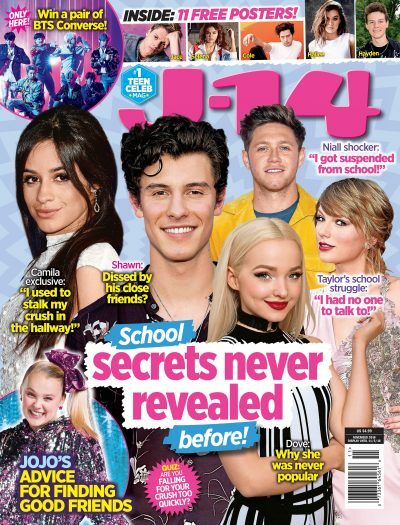 Not only did she tell us her Halloween costume idea, she also chatted with J-14 about her all-time favorite Halloween memory! Brec revealed, "My all-time favorite Halloween memory was last year. A few of my friends and I went trick-or-treating and afterwards went to a diner and hung out ‘til the middle of the night. To top it off, it started raining and we may or may not have danced in the rain." That sounds like a total blast! We're glad that Brec and her besties took the rain in stride and turned their soaking wet night into a seriously fun time! So, what IS Brec dressing up as for Halloween this year? Check out what she told us: "This year I am dressing up as the joker! I love taking typical male costumes and making them very feminine." Do YOU have a favorite Halloween memory? What will YOU be dressing up as this year? Let us know in the comments!